The retailer has selected Zetes and its supply chain visibility platform ZetesOlympus to gain real-time fulfilment performance insight across its fresh food supply chain. Zetes’ platform will help M&S foresee any possible disruptions to availability, via real time alerts, meaning it can take fast preventative action to maintain its fresh food fulfilment standards. 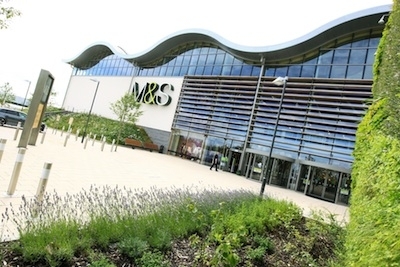 The platform, which connects M&S to all its logistics providers, will also encourage greater collaboration across the supply chain. The supply chain intelligence is accessible on any device (PC, tablet, smartphone), keeping all relevant parties connected at all times with the valuable insight they need to manage effectively. Syd Reid, supply chain director at M&S, said: "It is crucial for us to have complete visibility of our supply chain and be immediately alerted when unexpected events occur. That way, we can be agile and react at pace to ensure that our customers can get their favourite M&S food products when they want them, no matter what." Alain Wirtz, CEO of Zetes, added: "Customer expectation for an efficient and fast omnichannel retail experience continues to grow and as such, the need for accurate, real-time visibility and proactive monitoring within the supply chain heightens. We are delighted that M&S has chosen Zetes to help it continue to deliver the level of service that its customers value."